Lately, my mornings come very early. I’m usually up at the crack of dawn and sometimes even before the sun is up. Why? I’m not sure! I’d describe myself as more of a morning person because I feel I can get more things done during the day. When I sleep in, I wake up feeling stressed like I missed hours of getting started on my long to-do list. My mornings are peaceful and quiet. I savour that solitude. Everyone else in my house are night owls so I have a few hours to myself to do whatever I like. I usually make a coffee and grab a quick bite to eat. Breakfast is the most important meal of the day and I need that fuel to keep me going. One of my favourite breakfasts is a bowl of cereal. It’s quick to make and gives me the energy I need to start my day. Right now, I’m loving Jordans Morning Crisp Cereal Honey Nut. Serve it with a glass of orange juice and a hot coffee and it keeps me going till lunch time. Plus, it’s delicious! 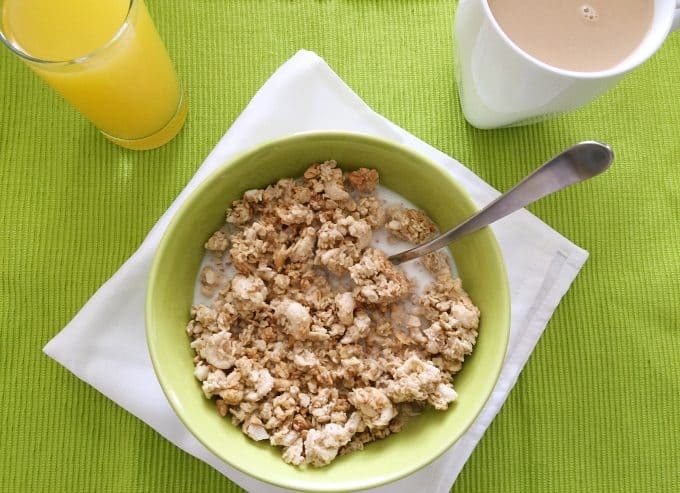 Jordans Cereals Canada wants to know what your #MorningMoments look like? They are hosting a contest to make it super fun. There are weekly prizes and two spectacular grand prizes! The two grand prizes are a family trip for four to a luxury resort in Orlando, Florida or in Mexico. I would be in heaven with either one of those trips! Visit the contest site and register your name, email, password and cell phone number. Enter the verification code you’ll receive via text message. Upload a photo of your #MorningMoments, a short description and a UPC from a box of Jordans Cereal. Easy peasy! The contest is open to Canada only and ends on August 28, 2016. You can enter once per day. Please check out the full rules and regulations. I’ve been entering this contest… Love it! That cereal looks yummy. Love the crunchy granola bits inside. Those always make for a special treat. That cereal looks like the perfect start to a morning! I bet it would be great in yogurt too! What a fantastic contest. I absolutely love Florida. I enjoy getting up in the morning and getting started on my day too. I have been dreaming of waking up on a beach for months now! That would be a fantastic prize to win! They make it easy to enter, and what a fabulous prize it would be! I’m glad you shared this with everyone. Oooooo…. I’m a get up before the sun kind of girl too. I pretty much wake up by 4:30am and love the solitude. I too love cereal for breakfast. This is an awesome contest!! That cereal looks really good. I’ve never seen it before. I would definitely pick some up the next time I go shopping if I can find it. Ah too bad I can’t enter it. Would love to be waking up in Orlando! I love quiet time in the mornings. It’s so nice to enjoy the peace of the house before the kids wake up and the loudness begins. Sounds like a really fun contest. Not much of a morning person, but the kids certainly are. lol. Such a fun contest! 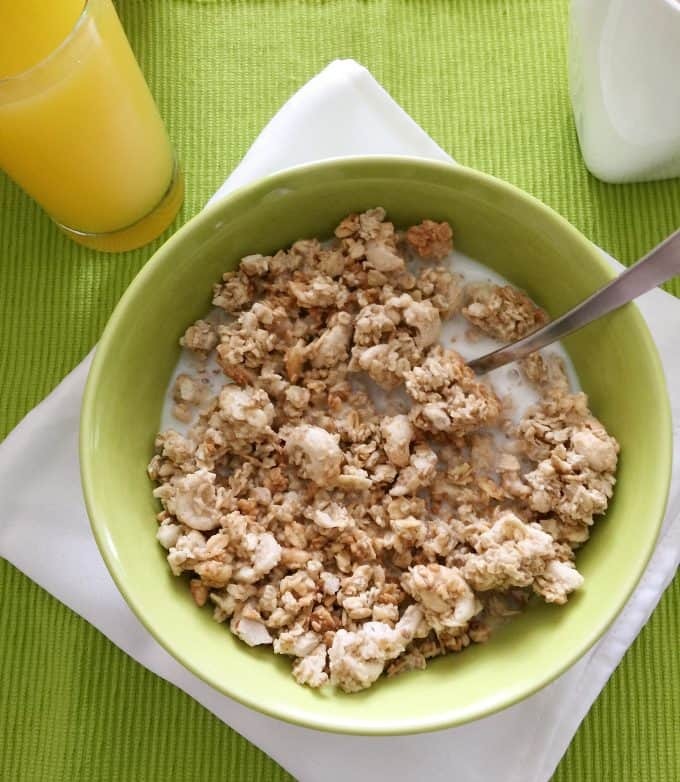 There are mornings that I really love to indulge in a delicious cereal like this! 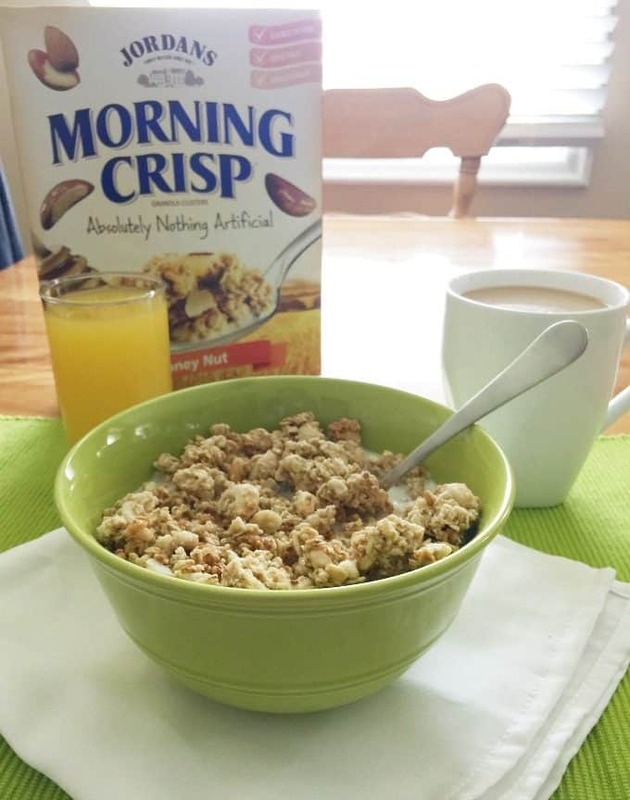 Looks like this Jordan’s Morning Crisp is a must try! That is too funny! I am eating some of this as I type this lol. This is a great contest. Our mornings are always busy and breakfast is a rush. I will have to pick up some Morning Crisp to try. I love the mornings we can all have breakfast together and talk about our plans for the day. This is a great contest I will be sure to enter. Morning Crisp is a delicious cereal. I love finding delicious food that is also good for my family. That cereal looks so good! I would definitely wake up early to enjoy a bowl of that to myself before the kids got started for the day.